Eliminate dropped calls in their main office and issues with wireless EFT POS payment systems. Cel-Fi GO Stationary for Telstra and Omni Antenna to enhance the donor signal. • Fully operational EFT POS machines. • Solid 5 bars of cellular signal throughout their offices. • Four bars of signal in the shade around the building perimeter. Minimbah State School is an Independent Public School established in 1997 with a current enrollment of over 800 students. The school name “Minimbah” means “place of learning” in the local Aboriginal dialect Gubbi Gubbi language. The administration building had a history of poor mobile coverage which meant that staff and visitors to the main office and reception, the staff room and the sick bay were not always able to connect. 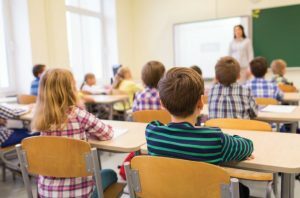 In particular, lack of mobile coverage affected the School’s ability to run their business via their wireless EFTPOS machine in the administration office. Payments were not always able to be collected causing problems with parents and staff alike. Because the poor coverage area was within 900m², reseller Duncan Campbell of Clan Campbell Digital Communications suggested installing a Cel-Fi GO in the communications cabinet. The installation uses Omni antennas to draw the signal from the closest cell tower, which the Cel-Fi GO then disperses throughout the space to provide complete coverage. Duncan Campbell from Clan Campbell reviewed the site and decided that the Cel-Fi GO for Telstra building pack with Omni Antennas would be the perfect solution to taking the external Telstra mobile signal and disbursing it around the building where it needed a boost. The Cel-Fi GO was chosen over the Cel-Fi PRO as the original area needing mobile coverage boosting was a small contained area and did not have the separation distance that the Cel-Fi PRO requires to optimize the setup. Omni antennas were selected as the school was a short distance from the Telstra tower. 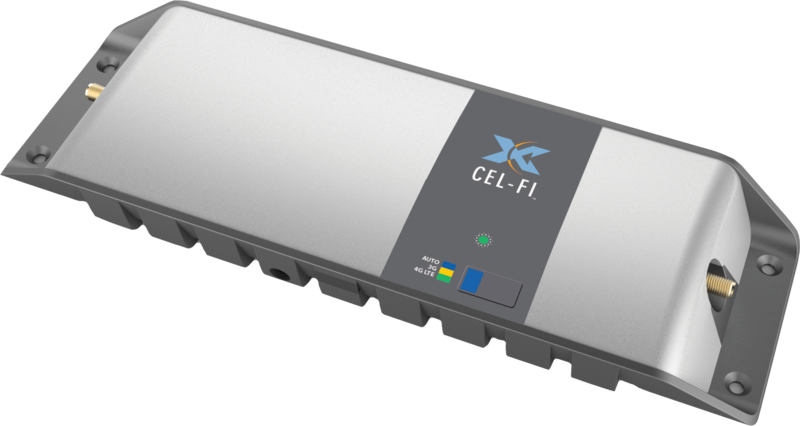 Cel-Fi GO Stationary model is a one box indoor coverage solution for Telstra’s Next G and 4GX networks operating on 3G 850Mhz or 4G 700/1800 bands. It is designed to dramatically boost voice quality and increase data speeds for in building applications. Not only are staff happy to have a fully operational EFTPOS machine ensuring they can deal with parent payments on the spot, but they also have a solid 5 bars of signal throughout their offices. The signal amplification extends inside and outside the admin building, with parents and teachers now able to sit in the shade around the building perimeter and use their personal phones with a solid four bars of signal.